…the one with all the things to do! 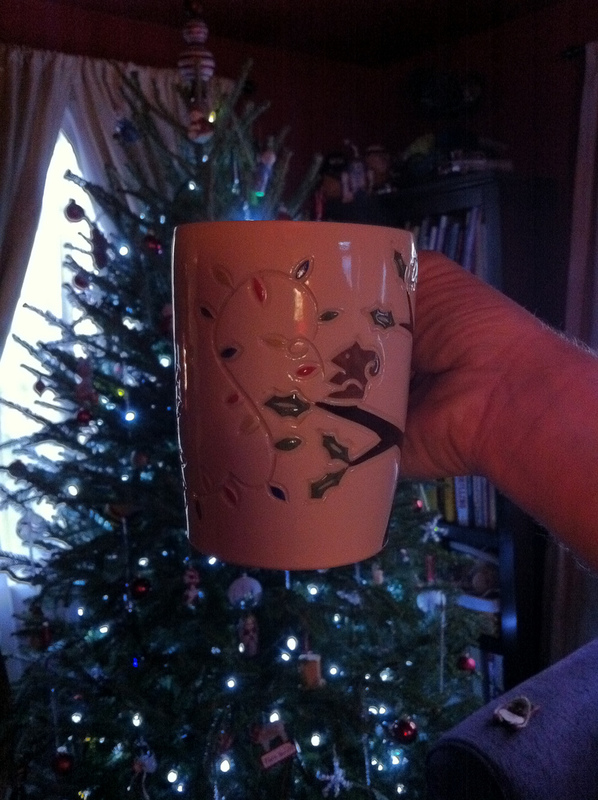 (pictured above, my new Jenny the Potter Holiday mug!) This week, our directive is ’10 Things You Have to Do Before Christmas/Hannukah/The Weekend’. Since I celebrate Christmas, my list is compiled of things I have to do before Sunday morning…ready? 2. Attend FD holiday party and try not to freak out about the stuff I forgot to do/didn’t have time to do before the party started. 3. 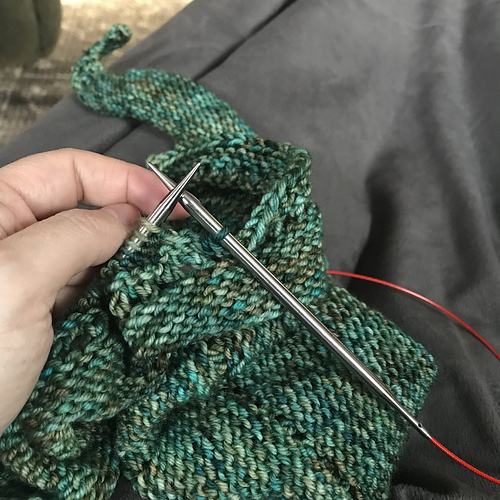 Crank out a pair of Christmas socks for me! I have a skein of the Jimmy Beans Wool Lorna’s Laces Limited Edition December 2011 color ‘Ribbon Candy‘ all ready to go. 4. Wrap all the gifts – they’re all purchased with the exception of the stocking stuff but they’re not wrapped as of yet. 6. Take a moment to enjoy the season – I haven’t really done that yet. 7. 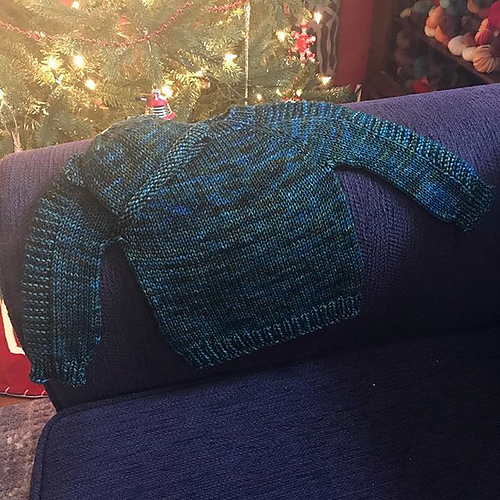 Finish the Tiny Tea Leaves cardi I started for Winkie. 8. Add ‘Holiday Inn’ and ‘White Christmas’ to the hard drive so we can add that to the movie mix on Christmas Day. Whew! I’d better get busy! I hope you all have a wonderful Holiday!